When will be Take Me Home next episode air date? Is Take Me Home renewed or cancelled? Where to countdown Take Me Home air dates? Is Take Me Home worth watching? CBS reporter Peter Greenberg talks to celebrities including Dolly Parton and Ted Danson about the places that have influenced them and their careers. The singer shows off her state of Tennessee. Dolly takes Peter Greenberg to her Dollywood theme park, and her home town of Sevierville. Dolly and Peter also travel to Nashville to visit the Ryman Auditorium where Dolly got her big break. The actor/musician shows off his city of New Orleans. Harry takes CBS News Travel Editor Peter Greenberg to Bourbon Street, a bar there where he used to play, the church where he got married, and areas affected by Hurricane Katrina. The actor shows off his state of New Jersey. Danny takes Peter Greenberg to his hometown of Asbury Park. They walk on the famous boardwalk, visit a pinball museum, get their fortunes read by a fortune teller and interact with his fans. The actor shows off his state of Michigan. Jeff takes host Peter Greenberg to his home city of Chelsea, to the theatre group where he launched his career and they both travel upstate to the Upper Peninsula. 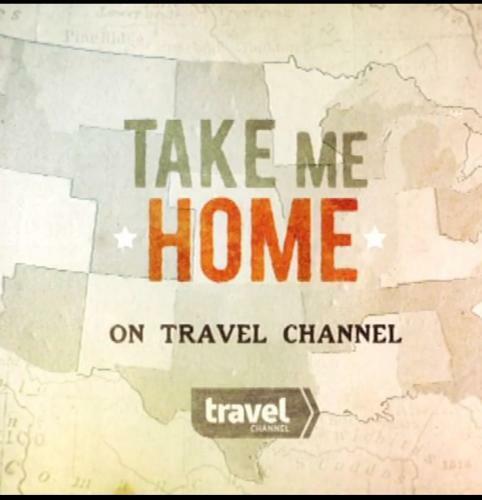 Take Me Home next episode air date provides TVMaze for you. EpisoDate.com is your TV show guide to Countdown Take Me Home Episode Air Dates and to stay in touch with Take Me Home next episode Air Date and your others favorite TV Shows. Add the shows you like to a "Watchlist" and let the site take it from there.